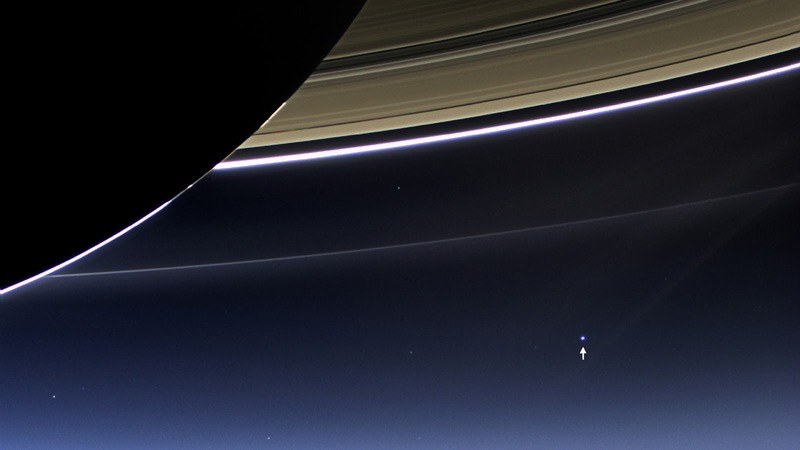 NASA captured this amazing image of our blue planet from Saturn with its Cassini spacecraft. In this rare image taken on July 19, 2013, the wide-angle camera on NASA's Cassini spacecraft has captured Saturn's rings and our planet Earth and its moon in the same frame. It is only one footprint in a mosaic of 33 footprints covering the entire Saturn ring system (including Saturn itself). At each footprint, images were taken in different spectral filters for a total of 323 images: some were taken for scientific purposes and some to produce a natural colour mosaic. This is the only wide-angle footprint that has the Earth-moon system in it.